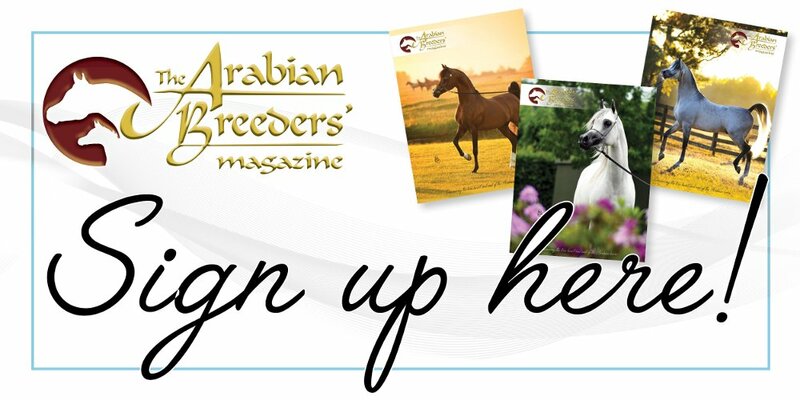 First published in The Arabian Breeders’ Magazine Volume I Issue III March 2017. I got my first taste of jumping Arabs when I moved up from my 12.1hh Welsh section B mare onto our Arabian stallion Marcus Aurelius (Aurelian x Fiesta Magica). Although he stands at barely 15hh, he has the jump of a giant, but his intelligence and caring nature made sure that he was always underneath me and he saved his ‘balloon’ jumps for when I was a little more confident. Those who know Marcus understand that he became the horse of my pre-teen and teenage years, taking me to Cricklands, winning the overall championship at the 2014 Performance Horse Awards, and jumping in front of hundreds at multiple stallion parades over the years. We started by receiving funny looks, the hairy ginger Arab stallion and the small child – “but Arabs can’t jump..!” – We certainly proved them wrong! 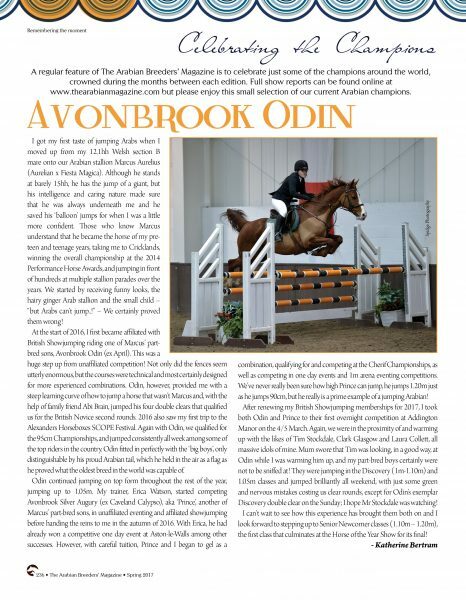 At the start of 2016, I first became affiliated with British Showjumping riding one of Marcus’ part-bred sons, Avonbrook Odin (ex April). This was a huge step up from unaffiliated competition! Not only did the fences seem utterly enormous, but the courses were technical and most certainly designed for more experienced combinations. Odin, however, provided me with a steep learning curve of how to jump a horse that wasn’t Marcus and, with the help of family friend Abi Brain, jumped his four double clears that qualified us for the British Novice second rounds. 2016 also saw my first trip to the Alexanders Horseboxes SCOPE Festival. Again with Odin, we qualified for the 95cm Championships, and jumped consistently all week among some of the top riders in the country. Odin fitted in perfectly with the ‘big boys’, only distinguishable by his proud Arabian tail, which he held in the air as a flag as he proved what the oldest breed in the world was capable of. Avonbrook Odin. Credit Spidge Photography. 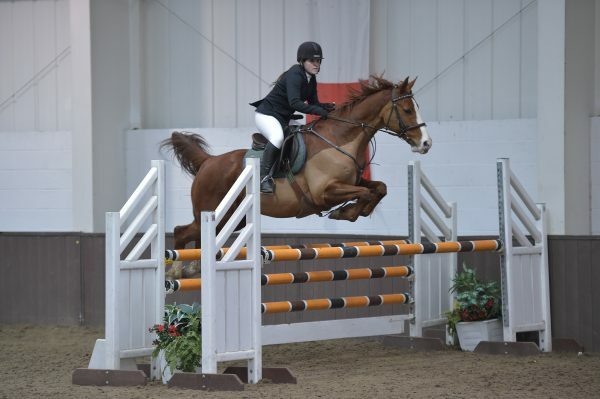 Odin continued jumping on top form throughout the rest of the year, jumping up to 1.05m. My trainer, Erica Watson, started competing Avonbrook Silver Augury (ex Caveland Calypso), aka ‘Prince’, another of Marcus’ part-bred sons, in unaffiliated eventing and affiliated showjumping before handing the reins to me in the autumn of 2016. With Erica, he had already won a competitive one day event at Aston-le-Walls among other successes. However, with careful tuition, Prince and I began to gel as a combination, qualifying for and competing at the Cherif Championships, as well as competing in one day events and 1m arena eventing competitions. We’ve never really been sure how high Prince can jump, he jumps 1.20m just as he jumps 90cm, but he really is a prime example of a jumping Arabian! After renewing my British Showjumping memberships for 2017, I took both Odin and Prince to their first overnight competition at Addington Manor on the 4/5 March. Again, we were in the proximity of and warming up with the likes of Tim Stockdale, Clark Glasgow and Laura Collett, all massive idols of mine. Mum swore that Tim was looking, in a good way, at Odin while I was warming him up, and my part-bred boys certainly were not to be sniffed at! They were jumping in the Discovery (1m-1.10m) and 1.05m classes and jumped brilliantly all weekend, with just some green and nervous mistakes costing us clear rounds, except for Odin’s exemplar Discovery double clear on the Sunday; I hope Mr Stockdale was watching! I can’t wait to see how this experience has brought them both on and I look forward to stepping up to Senior Newcomer classes (1.10m – 1.20m), the first class that culminates at the Horse of the Year Show for its final! First printed in The Arabian Breeders’ Magazine Volume I Issue III March 2017. To enjoy further content such as this, please visit The Arabian Magazine Shop.